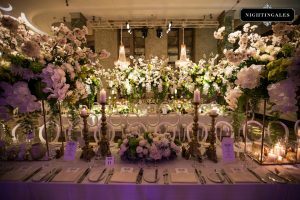 From the moment you choose Nightingales as your Wedding Planners and Stylists, you can be assured that all aspects of your wedding are being looked after by an experienced wedding professional. We locate all the special services and products for you to consider then take care of all bookings and confirmations and schedule all service providers for the wedding day. With Nightingales wedding planning packages, will work with you to create a concept for your wedding starting from your invitations right through to your reception venue. What’s more, you have the time saving benefit of only one person to contact for ALL aspects of your Wedding! Nightingales understands that many couples like to plan and organise their own weddings but want to relax and enjoy their wedding day without worrying about the little details! Likewise they do not wish to impose duties on their family and friends on the actual day. 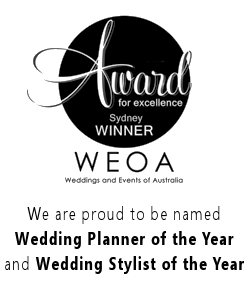 We provide the perfect solution by offering you your very own experienced and professional Wedding Day Coordinator! 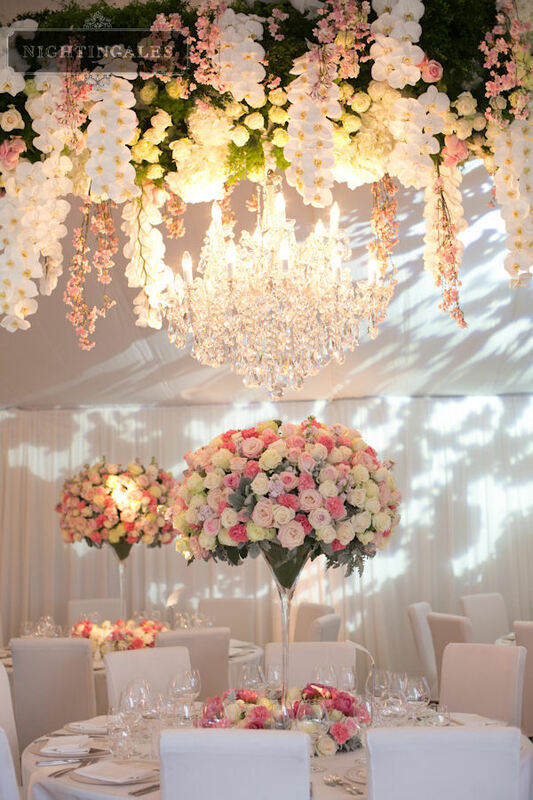 Your wedding coordinator will liaise with your suppliers in the lead up and on the wedding day to ensure a seamless process and will personally guide you through the most important moments of your special day! This wedding coordinator service suits couples who have already started planning their wedding but require assistance to pull it all together. We help complete the planning process, source last minute suppliers, develop a Wedding Day Schedule and execute the details on the day. From the moment you choose Nightingales as your wedding planners, you can be assured that all aspects of your wedding are being looked after by an experienced wedding professional. Nightingales will work with you to create a concept for your wedding that starts from your invitations right through to your reception venue. We will locate all the special services and products required for your consideration and take care of all booking requirements. Plus you have the time saving benefit of only one person to contact for ALL aspects of your wedding! Sourcing of all wedding suppliers required e.g. photographer, videographer, entertainment, AV, transport, stationary, cake, dress etc. 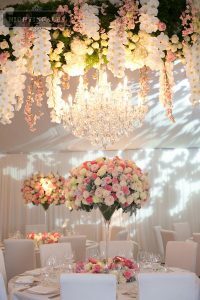 Creating a style and decorative concept for your wedding day including e.g. 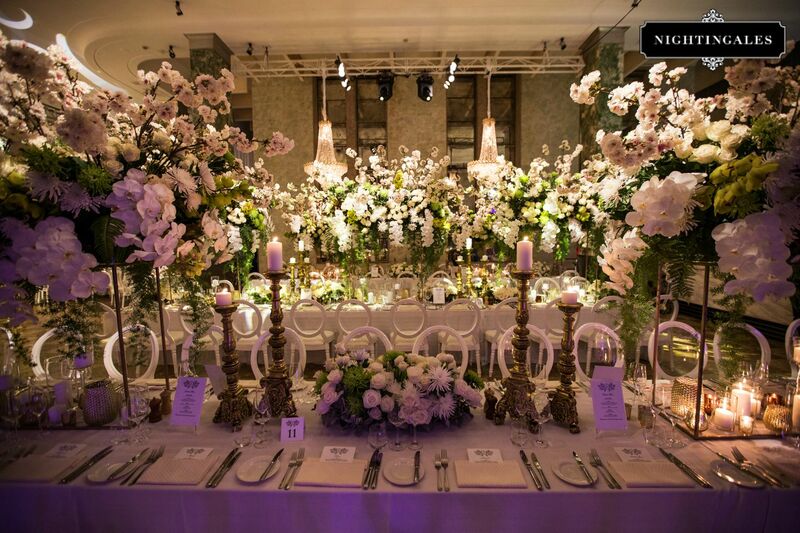 flowers, candles, table wear, linen, draping, lighting, lounges, stationary, cake etc. For more information on this package, please see our Wedding Decoration Packages page. Nightingales Wedding Designers would love to assist you in creating your perfect Wedding Day!